Tempeh is an obligate carnivore named after a vegan protein...maybe that's why he has perpetual grump face. Maybe he's just a really old soul, and that old man likes making old man faces on a kitten body. Either way, don't let the grump face fool you! Tempeh loves running and playing and murdering toys. He gets along with other cats, and watches the bearded dragon he's fostered with...who usually wins the staring contest. 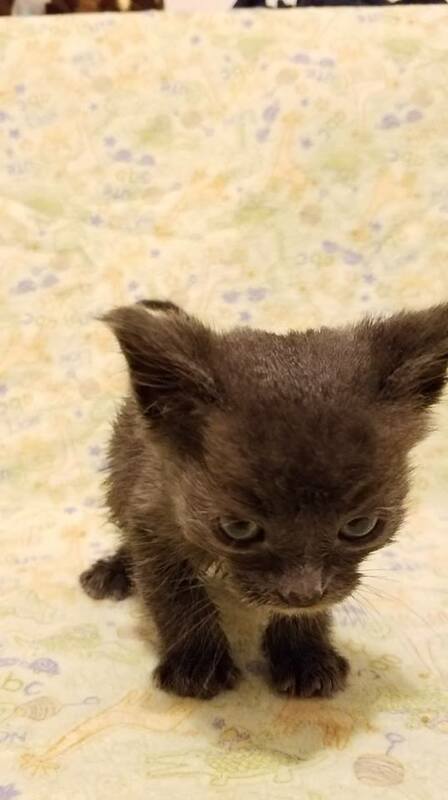 If you need an energetic kitten with an old man face, Tempeh is the one for you!